Learn the difference between tourist attractions and tourist traps. Tourist attractions offer genuine interest and something of sightseeing or recreational value to tourists, and are worth the customer’s money and time to enter. 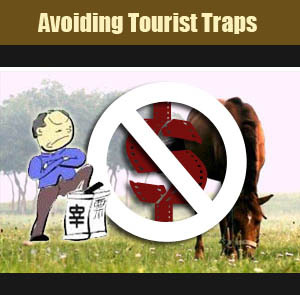 Tourist traps on the other hand are set up to exploit tourists. What they offer is not worth the time or the money (i.e. definitely overpriced) and tourists generally leave feeling disappointed, bored, or cheated (or all of them at once). There may be a difference of opinion here on what is worthwhile and value for money. What is a tourist trap to one may be a genuine attraction to another. 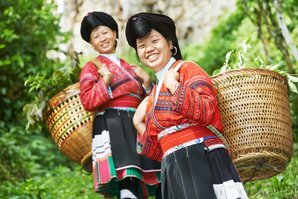 China Highlights aims to give you the best possible experience of China’s best attractions through our tailoring tours to customer requirements, more than 12 years of experience arranging tours for more than 10,000 satisfied English-speaking clients a year, and continuous development in response to customer feedback. We really know how to avoid tourist traps, i.e. disappointment. See our “Why Us” pages. 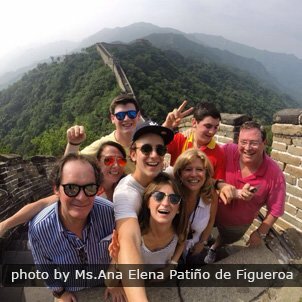 The tourist traps that China Highlights will help you to avoid are the large souvenir retail outlets that are usually included as a compulsory and wearily tolerated part of standard Chinese group tours, and from which the guide will get a commission. Products sold often include tea and tea sets, pearls, jade, Chinese paintings and calligraphy, traditional calligraphy sets, silk, rugs, and other more localized specialties. This is all very well if you find these products interesting or want to buy something to take home, but if you are not interested you are safe with China Highlights as we will not waste your time by going there. From October 1st, 2013, all our itineraries are SHOPPING FREE — the first China tour company with absolutely no shopping on our tours. If you have a particular product that you are interested in, let us know and we could arrange a guided tour of the best places to buy. Always remember to bargain, or even better get someone Chinese to bargain for you! Our guides may be able to help you. 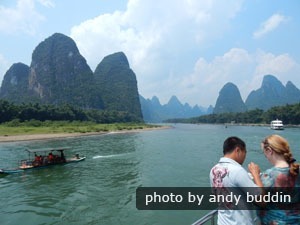 If you would like to buy something from China on your tour with our help, you will need to sign a disclaimer releasing your tour guide to recommend the best places to buy and take you shopping. Tourist traps could also take the form of shops, or lone hawkers, at genuine tourist attractions or other tourist-frequented locations, selling over-priced goods to a captive, or possibly unsuspecting, market. We at China Highlights can do nothing about this, only warn you. There will often be a difference of opinion on what is a fair price. The “local price”, the “tourist price” and the “foreigner price” are a hard to remove principle in the minds of many vendors. Food and drink sold at remote locations, e.g. on mountains, may be reasonably expected to be a bit more expensive due to the cost of getting it there. Touting of Hotels, Transport, Tours, Restaurants, Shops, etc. This category includes the people at airports, railway stations, and bus stations offering overpriced hotels or on an overpriced ride or tour. Beware: a reasonable price may change later. These people can sometimes be genuine and quite helpful, and the price is sometimes a good one, but if you are unsure why risk it? There are also those who line popular tourist walking routes trying to get you to eat at their restaurant or buy whatever they are selling. A general rule is to avoid places so desperate that they have to hold a menu on the street or hassle passers by, and find a place packed with locals, or that seems popular and smells good. 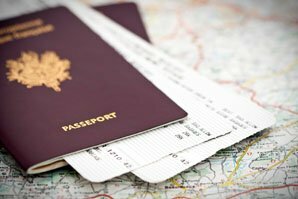 Other “tourist traps” fall further outside the definition centering around exploitative tourist sights and services, and can be better defined as unscrupulous operators, con artists, and criminals who particularly prey on tourists – those who seem rich and unaware, especially foreigners. There are gray areas of the law in China where the police can do nothing, such as in a your-word-against-theirs situation. As elsewhere in the world, in China you may come across people who try to exploit the unsuspecting. When on holiday, tourists often let down their guard and that makes them especially vulnerable to scams. So again, caution and common sense are vital. Do not trust the people on the street side who offer services of money exchange. Currency exchange: Beware of people on the street side who offer services of money exchange. If you do need to exchange money, do it in the Bank of China or at the star-rated hotel. Counterfeit/worthless change: When you are shopping check your change carefully. If you are using large denomination bills, make sure that you get undamaged, clean, and genuine notes in your change. You can always ask for different change if you are not satisfied. "The tea house scam": Be cautious if somebody approaches you and invites you for a drink at a tea house or bar nearby to "practice English". There have been reports of tourists being left with the bill. "The roll of banknotes scam": Do not pick up rolls of banknotes found on the street. A scam artist will probably then approach you asking for you to share your new found wealth. He will ask for the money in your wallet and then you will find that the banknotes are worthless. ATM crime is on the rise recently. There are continual reports of ATM scams including using fake ATMs or other methods used to steal the user&apos;s card and PIN. You are advised to use ATMs when accompanied and during the daytime, avoiding machines that look suspicious. Begging: You may well come across beggars in China, particularly in the larger cities. In the vast majority of cases you shouldn&apos;t feel threatened or intimidated, but if you do report the incident to the police. If you want to hand out money, make sure that you exercise some caution and common sense. Carry some loose change. Not all beggars are genuinely in need or get to keep what they are given. Watch out for counterfeit money. See Chinese Money for how to recognize counterfeits. 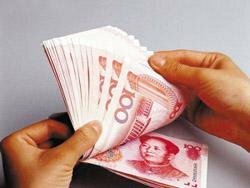 100 yuan notes that you get from a bank or ATM won’t be fake, so if anyone says they are and wants to change one of yours it is a scam. They might switch a note you used to pay for something for a fake and then ask for another 100 yuan note instead of “your” fake. The best thing to do here is definitely not to give them another 100 yuan. You should call the police if you know it to be a switch. If you are holding a fake note that someone has just handed you the police may be able to do something. Giving counterfeit money out in exchange for foreign currency takes advantage of new arrivals in China by offering good rates of exchange on the street near popular entry points: airports, airport bust stations and first-day tourist attractions. Always do currency exchange at a Bank of China, a reputable hotel, or other recognized place. Another common way of giving counterfeit money to the unsuspecting is in returned deposits, e.g. for bicycle hire or in change. If you notice a fake, you can always ask for another note. The classic scam involves a friendly stranger who asks you to go somewhere to drink tea or eat a meal (and perhaps practice English) and then you are left with a big bill. Make sure you choose the place. See The Top 10 Scams in Beijing for more on this. Use genuine taxis with genuine meters. Get a receipt before you get out in case you accidently leave something in the taxi. Illegal taxis may have rigged over-charging meters, leave you at the wrong place, claim the price was per person instead of in total, or drive off with your luggage. You may be offered a cheap tour that will turn out to include a gauntlet of souvenir outlets with pressure to buy, and other commission earners like third-rate performances, and maybe low-quality transport, food and guide as well, with very little time at the actual attraction. Chinese Fortune tellers may also overcharge, or even take hold of your hand (to read your palm) in Chinese temples. Remember, you do not need to accept their services, and bargain if the price seems high. Always find out the price of everything before eating. If you suspect anything get it written down so there can be no “misunderstandings”. Extras that are commonly charged for at around 1 yuan each are tea (sometimes per person), use of plastic-wrapped crockery sets, packs of tissues, and bowls of rice. These may cost a little more at more expensive restaurants, but check you are not drinking a really expensive tea without realizing. If you are offered a private room, check that it does not have an exorbitant price attached. Scams include extra charges for use of a room, or for a change of price at the end because of “some misunderstanding”. Make sure the price is clear at the start. To avoid embarrassment don’t order a massage from a hotel, especially of the type where the masseuse comes to your room, as most hotels have massages with a sexual nature, and you may be forced to pay if they start. Most massage shops are genuine, honest and very good value for money, but beware those with private rooms, often on bar streets. If unsure you can ask your guide, or contact us and we can advise on or arrange a suitable genuine massage. With begging it is always your choice whether you give or not, but bear in mind that many of the stories that people come up with when asking for money are not genuine. The classic ask is for the price of a train ticket home by some “destitute traveler”. Often crippled beggars are left in strategic locations and used by someone as a way of earning money from peoples’ compassion. Scruffy girls selling roses are often very persistent and highly skilled professionals. Try to avoid them as you will find it difficult to get away until you have paid. Beware of pick pockets in areas frequented by tourists, crowded streets and markets, sights, buses, etc. Often there will be more than one working together. Beware tackling them as they often carry knives in order to force a getaway. One thief may distract or bump into the victim while the other steals. Use money belts or put your valuables where they are difficult to get at. Do not have more snatchable and lootable items than your hands can protect hanging off you in a crowd, e.g. camera, lens bag, jewelry, laptop bag, shoulder bag, hip pouch, backpack, wallet in back pocket, etc. Also beware falling asleep on long bus rides or train rides, when a pick pocket can sneakily slide a hand or tweezers into a pocket or bag, and get off at the next stop. Having covered all of these risks, it should be noted that most Chinese are honest and helpful, and crime nuisance, especially major crime, can be lower than in Western cities due to the large penalties and government controls. The majority of tourists have no trouble, especially those who take precautions and are wary of tourist traps. Don’t give the opportunists an opportunity and hopefully they will find something more honest and useful to do.